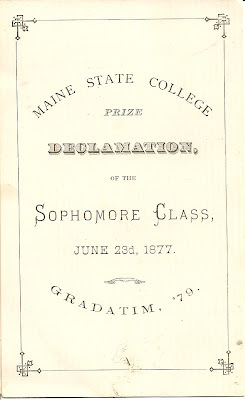 Maine State College Prize Declamation of the Sophomore Class, June 23rd, 1877, Gradation '79. 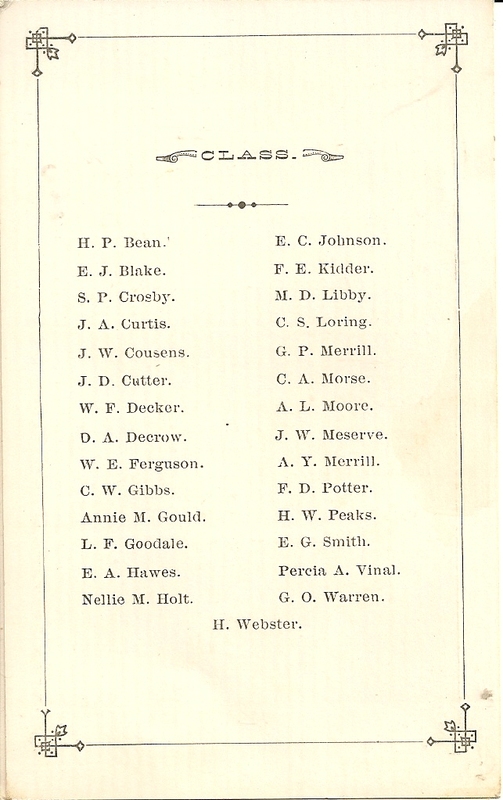 As someone interested in genealogy, I would love to see a copy of "Irish Allens". Thank you! 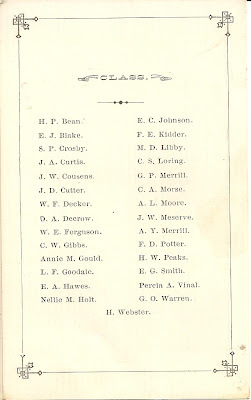 I was doing genealogy research on my grandfather, J.A. Curtis and was so happy to stumble upon this! 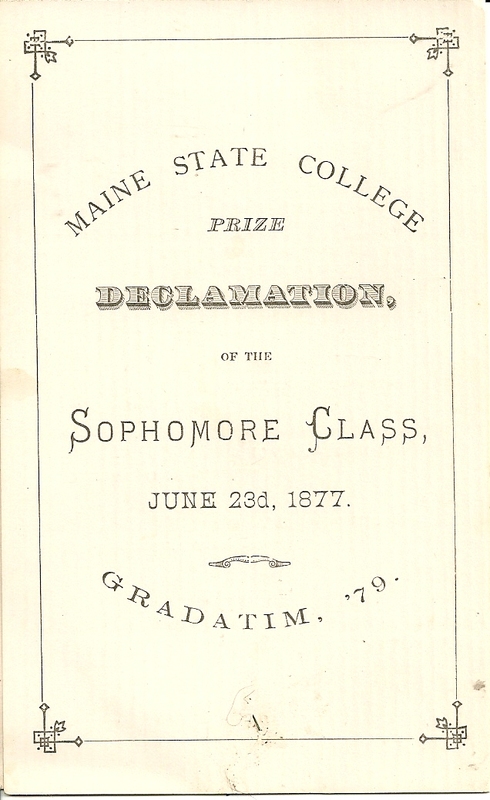 He went on to join the Engineer Corp under General Warren after his Maine State days and then headed out west where he was a government surveyor in Wyoming followed by time as a civil engineer in Delta, Colorado. Thanks for adding some flesh and bones to this dry memento!